When you’re responsible for your aging mom, dad, or elderly family member, you wonder if you have the answers you need to make the best choice. We’re here to simplify your decision and help you navigate the emotionally charged topic of senior care. 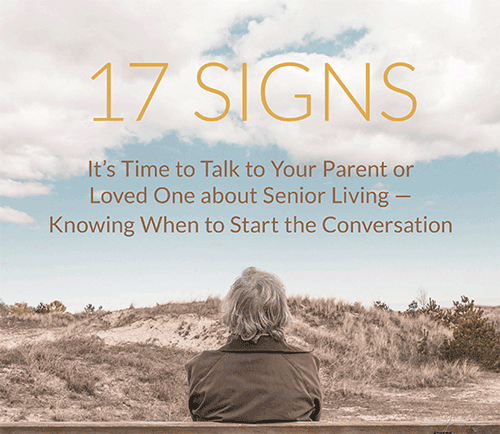 This free guide can help you find clarity and direction if you begin to think it's time to talk to your loved one about senior living.